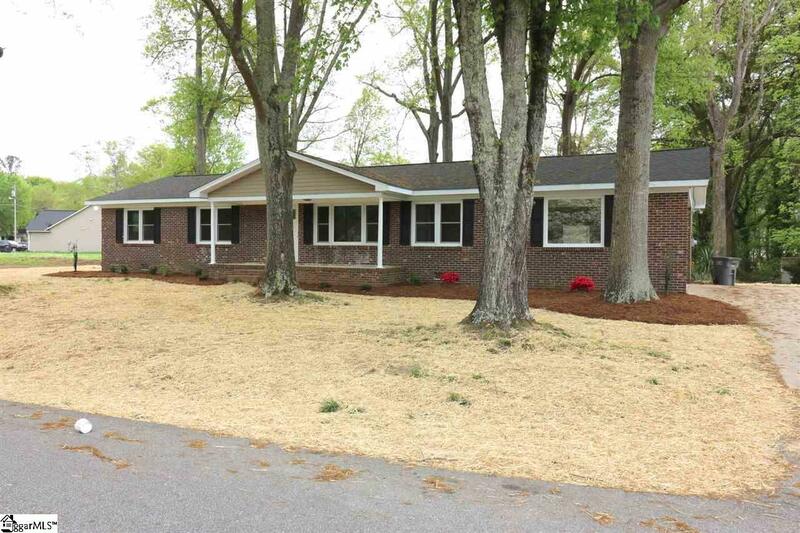 All brick one story completely renovated! Beautiful home in the Furman University area in Richmond Hills. WOW Factor **New windows, New Roof, New HVAC, New appliances, New Floors, New Baths, New Kitchen with granite counter tops and cabinets, New Light fixtures. All hardwood and laminate floors no carpet! Stunning fireplace in Large Great Room. The ladies of the property will love the extra-large laundry room. Welcoming covered front porch on large wooded lot. The man of the house will love the side entry garage and extra-large storage area. Large patio in the back yard with views of wooded private back yard. Close to Furman, Close to Swamp Rabbit Trail, Paris Mountain State Park and best small town in South Carolina -Travelers Rest and 15 minutes to award winning Downtown Greenville Call to view 24/7!